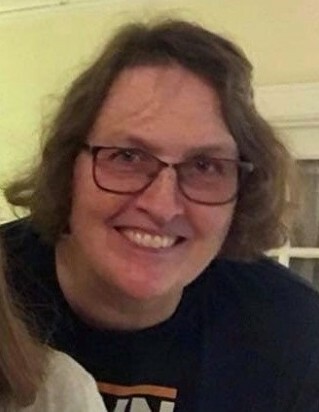 Laurie Meyer-Olson age 58, of Detroit Lakes, died Saturday, March 23, 2019 at home surrounded by her loving family, after a long battle with cancer. She never lost her smile and was filled with hope. Visitation for Laurie is Thursday, March 28, 2019 from 4:00-7:00 with a prayer service at 6:00 in the David-Donehower Funeral Home. Funeral Service is Friday, March 29 at 11:00 in the Immanuel Shell Lake Lutheran Church of Osage, MN. In lieu of flowers, Laurie’s wish was that Backpacks, School Supplies and Children’s books be donated in her name to the Detroit Lakes Public Schools. Laurie Meyer-Olson was born and raised on the Meyer family farm in Byron, MN; contrary to her dislike of animals, she enjoyed baking, cleaning and playing with her younger sisters and brother. Upon graduating college, she moved up to Detroit Lakes, MN, to officially begin her teaching career. It is also there, that she met the love of her life and raised her three children and two stepchildren. Laurie was a teacher in all aspects of her life and loved her students and their families like her own. She enjoyed her house in the woods, baking, crocheting and hanging clothes on the line. She dedicated herself to helping others and trusting God to guide her through all situations in life. Laurie’s greatest joy, came from being a grandma to her three, precious grandchildren and six fur grandbabies. However, if we’re being honest, she only loved the cat and dogs because her children loved them. Although she was angry at the disease, she never stopped living or finding the joy in her life. Even though she was not very fond of her treatments, she was blessed to have spent time with her family, on the farm she grew up at. She was able to visit her new grandson in Montana, she got to help her daughter, Polly get settled into her new home and classroom and she enjoyed baking with her daughter, Paige’s family. She was even able to binge watch numerous shows with her husband Bruce, on their new WIFI. She may not be here in person, but her strength, courage and compassion will inspire us to find the joy in each of our lives. She will forever be in our hearts, as we will forever be in hers. She is survived by her husband Bruce, children, Denys (Laura Kissinger) Olson, Polly Olson, and Paige (Taylor) Beck. Her stepchildren, Melissa (Ron) Mack, Bruce (Candice) Adkins. Her grandchildren, Cooper, Daxton and Selah. Her step-grandchildren, Katelyn and Alexis Mack, Morganne, Dawson, and Maddy Adkins. Her fur grandbabies, Meridian, Karlie, Juniper, Bella, Lucy and Zoey. Her parents, Carol and Harry Meyer. Her sisters, Sheri (Mike), Diane, Susan and brother Bill Meyer. Her mother in law, Betty Olson. She is also survived by many brother in-laws, sister in-laws, nieces, nephews, cousins and friends. She joins her grandparents, father in-law, Denny Olson and her brother in law, Perry Olson in heaven.